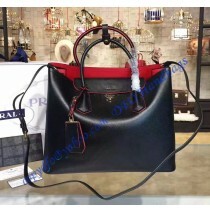 The Prada Saffiano Cuir Double Bag with Leather Lining is a bag which a person simply must have! The shade of the bag is simply favorite and probably the most interesting to most owners. 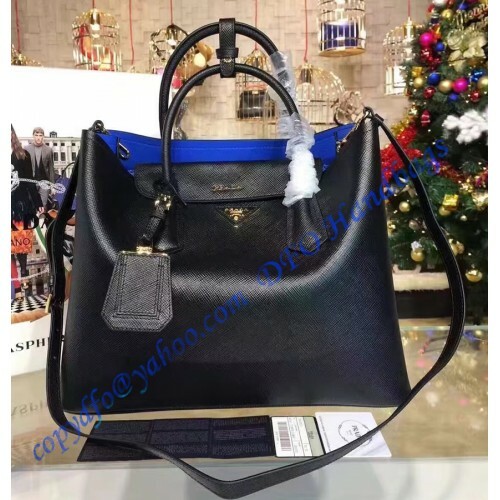 It matches any type of clothes you may wear and it isn’t difficult to notice the bag while at a party. The interior is the second advantage. It is massive, in the lack of a better word, allowing for the owners to place all of their belongings in the bag and to stay attractive. So yes, the bag is more practical than some users would expect, which is appealing in the lack of a better word. Leather the manufacturer used had to provide the ultimate quality, but at the same time, it had to look perfect. The product in question offers this without a question. Then we have the handles. They had to allow for the owner easy carry, but also to look impressive. Two rolled top handles will do any task you may imagine. 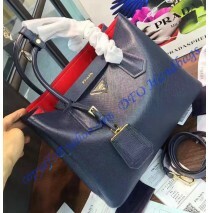 Prada logo in gold color must be mentioned! Interior features two, large pockets which are divided for easy use. Snap closing is available as well and we must say it looks impressive. All the hardware is made from actual steel, but it still isn’t heavy. 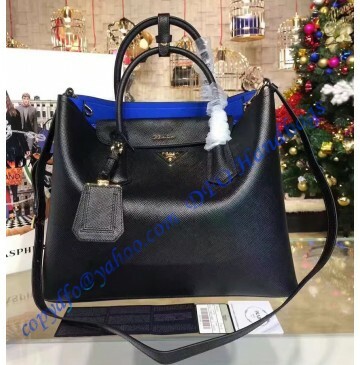 Carrying the bag is possible using the aforementioned handles, layered with leather or with a shoulder strap. Obviously, it is removable, so you can choose the most appealing way to appear in public wearing this all-new bag. The shoulder strap is also made from leather, just to add. At the end, we must summarize the bag in question. It is one of a kind, available on market today. 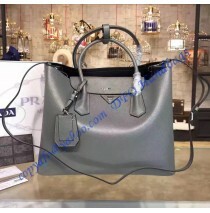 Colors, quality and the appearance the bag offers are all stunning. Expect to be noticed while wearing this bag, regardless of the time and place.